If you've been chatting with someone online and things have been going well, you've probably started thinking about meeting up IRL. However, it can be tricky to know when is the right time, and how to suggest it. If you've been fretting about how to take your potential romance off the internet and into the big wide world, here are some tips that will make it a little bit easier. If you're feeling a bit nervous about going on a date with someone, it can be tempting to play it safe by continuing to hide behind your keyboard. However, the longer you exchange messages, the more this person is going to seem like a casual pen friend than a potential love interest. There's also the possibility that someone more proactive will ask them on a date and snap them up. Exchanging a few messages to feel things out is great, but once you've developed a bit of a rapport it's time to meet up face to face. One simple way to start to move things offline is to offer your phone number. Chatting on the phone or texting generally feels more personal than on a dating site, so the offer of a date may come up more naturally this way. However, don't just exchange messaging online for texting instead of meeting up as you still won't have a solid idea of what they're like. If you share too much about yourself online, you could end up without much to talk about when you actually meet up in real life, which is a sure fire way to crush any chemistry that might exist between you. There's nothing more alluring than a bit of mystery, so don't kill the intrigue by laying out your entire life story before they've even set eyes on you. 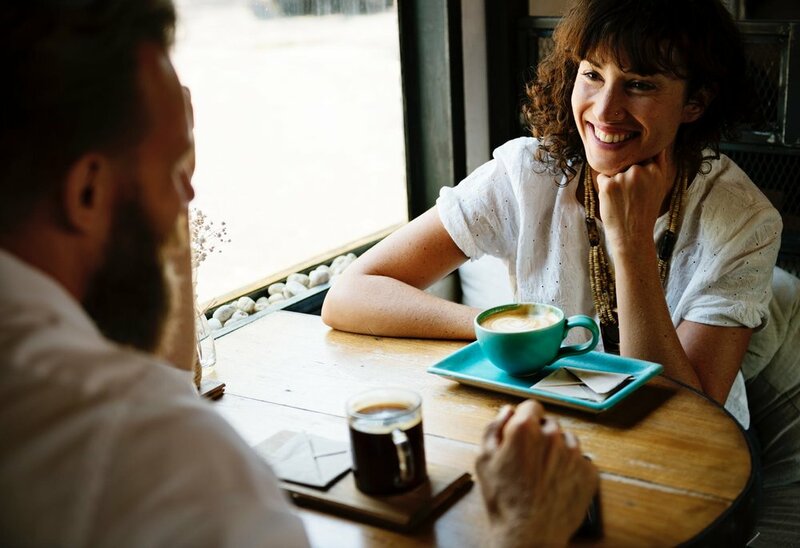 It's easy to idealise people before you meet them and imagine they are everything you've dreamed of and more, but remember that these thoughts have no basis in reality until you've actually met someone and got to know them a bit. Lower your expectations a little and be clear about who they really are and not who you want them to be. This is a good reason to take things offline fairly quickly, rather than spending ages chatting online and feeling no chemistry when you finally get to meet. When dating online, the likelihood is that you won't meet your soulmate on the first date, so you need to give yourself plenty of options. If you spend ages talking to just one person, you're missing out on lots of other potential dates. Chatting to lots of different people and going on lots of dates will hugely enhance your chances of quickly meeting someone that you really click with.